AVAILABILITY: In Stock: Free Same Business Day Shipping, via FedEx Ground - Order by 4pm PST. Expedited Shipping Can Be Selected During Checkout. The PT-LTE1 is a next generation portable battery powered GPS tracker, that updates it position every 20 feet when moving under 10 mph, and every 10 seconds when speed is over 10 mph. The PT-LTE1 is completely portable, it requires no wiring, no external cases, and has an internal rechargeable battery. The battery life of the PT-LTE1 is approximately 18 motion hours. This means that if placed on a vehicle that drives for one hour per day, the battery will last for approximately 18 days. PT-LTE1 dimensions are 4" L x 3" W x 1" H.
The PTE-LTE1 is IP-66 rated; the PT-LTE1 is dustproof and water resistant (tested with low-pressure water jets from all directions). 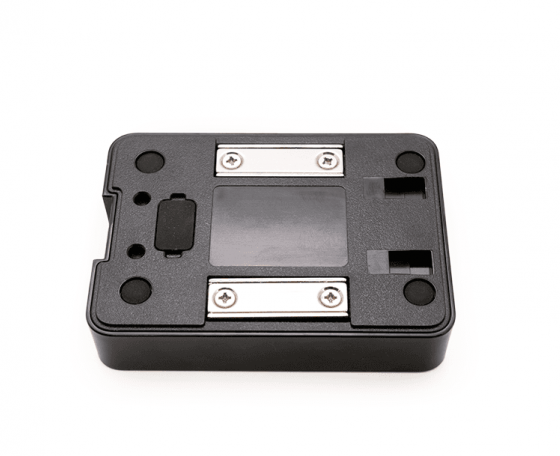 The back side of the PT-LTE1 is equipped with two ultra-strong neodymium magnets, and when attached to a steel surface, you can be certain the device is not going to become detached from its mount. Covert Tracking: With a small compact form factor, the PT-LTE1 deploys in seconds and is very easy to use. Vehicle Tracking: Attach inside, or under any vehicle, and you will have a live view of where the vehicle is at any given moment, as well as a full history detailing where the vehicle has been. Secure Assets: The PT-LTE1 can be placed on or inside almost anything (except full metal enclosures), with its built-in accelerometer, you can get notified via e-mail or text message when the PT-LTE1 moves, or leaves an area you specify on the Live Trac system map. Transmit: Automatically on Movement. Hibernates when not moving. Transmit Rate: Every 20 feet under 10 mph, every 10 seconds Over 10 mph. 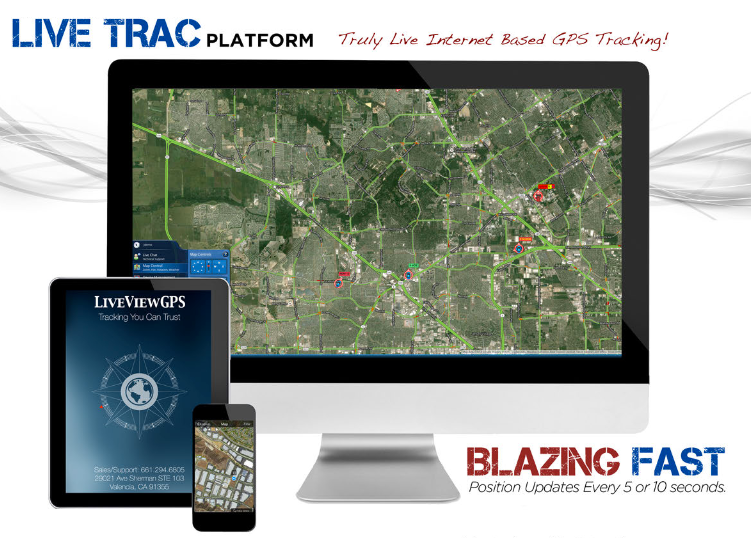 The PT-LTE series GPS trackers from LiveViewGPS are powered on the Live Trac Platform. Whether you are using the PT-LTE1 for professional or personal use this is the easiest most advanced GPS tracker and system you will ever use. Unlike other trackers that update in minutes, Live Trac gps trackers update in near real time, giving you the insight you need in 10 seconds or less. Increase employee productivity, curtail waste, effectively monitor and verify labor costs, reduce fuel consumption, stop unauthorized use of company vehicles and improve customer service. Live Covert tracking for the surveillance expert, executive tracking for the security professional. Teen and elderly drivers, monitor family members. Live Trac hardwired devices are connected to and are powered by your vehicle's power. 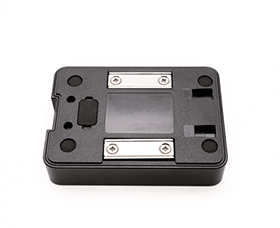 PT-10 series of portable battery powered gps trackers, available in several different battery configurations. Live Public View Map Embed - On Any Website! Call Us Today, No Risk, No Obligation Software Test Drive. 90 day playback history, up to 1 year available on request. Benefit: Since data is collected every 10 seconds, you get a true picture of the vehicle's activity and can play it back at anytime. Need many people to view your location? We can enable our public view feature, which allows you to view your devices without username/password requirements. Benefits: Easily share the location of your vehicles publicly. Used by companies running shuttles, food trucks, delivery vehicles, etc. iOS app uses Apple maps, while the Android app uses Google maps. The apps are provided as a value add for our customers with features such as team surveillance, which allows each app user to show their location on the application map screen so that other team members can see their location. Robust GPS Tracking Rest API allows retrieval of all vehicle data programmatically. Custom reporting is also available for a nominal fee which covers the cost of our programmers to create the report. Benefits: We can take your GPS data and create a report custom tailored to your needs. PT-LTE1 monthly charge is a flat rate $39.95 per month USD unlimited use, for both US and International use. Service is billed month to month. Where The PT-LTE1 Works: United States including AK, HI & Puerto Rico. South America, Canada and 180+ International Countries. See Coverage Viewer Map For Domestic/International Coverage Information (Please select data). When you activate your PT-LTE1, you are pro-rated at $1.33 per day for the first month. On the first of each month, you are billed. Device Cancellation: Cancel at anytime, by the 25th day of the month. Our devices are NOT sent out activated, and you will not be billed for service until you are ready to activate them.